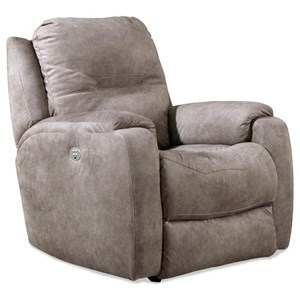 This recliner will be an instant hit when placed in your living room or family room area. This piece features a casual design that shouts comfort - from the generously padded cushions to the smooth shape of the chair's silhouette. 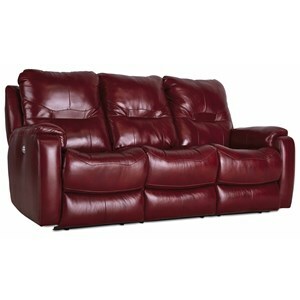 Made by a manufacturer who is a leader in the reclining furniture industry, this piece will offer you quality, comfort and style. This reclining chair is available in an assortment of options, each with its own special features to perfectly match your comfort needs and lifestyle. This recliner features a space-saving wall-hugger design. The Royal Flush Wall Hugger Recliner by Southern Motion at Hudson's Furniture in the Tampa, St Petersburg, Orlando, Ormond Beach & Sarasota Florida area. Product availability may vary. Contact us for the most current availability on this product. Fabric Options Items in this collection are available in a large assortment of upholstery options through special order methods. Contact your nearest retail location for specific information. 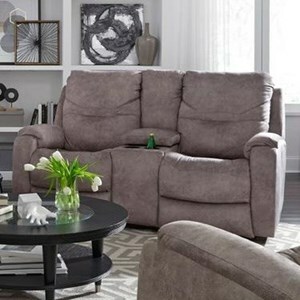 This reclining furniture collection has it all; standard or power recline options, eight recliner variations to choose from as well as power headrests available on select models. The style is casual with a bit of contemporary trend to it. Like the look but not the upholstery? Items in this collection can be customized in a large number of fabric and leather upholstery options. 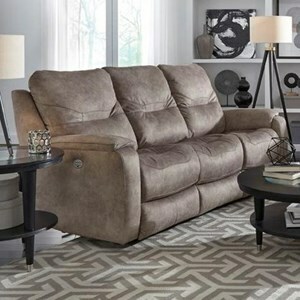 The Royal Flush collection is a great option if you are looking for Casual furniture in the Tampa, St Petersburg, Orlando, Ormond Beach & Sarasota Florida area. Browse other items in the Royal Flush collection from Hudson's Furniture in the Tampa, St Petersburg, Orlando, Ormond Beach & Sarasota Florida area.